These licensed earphones from the company MUNITIO comes as a result from a partnership with Activision Publishing, and represent a Special Edition version of the company’s Billets earphones. The Billets 9mm Earphones are made from aircraft-grade billet aluminum and are equipped with 9mm speaker drivers with neodymium magnets, offering 20 Hz – 20 kHz sensitivity, max input power of 10 mW and impedance @ 1 kHz: 16 Ohms. They come with Kevlar reinforced rubber cable, laser etched with the game logo and also includes a suppressor in-line mic. This Special Edition version also comes with three pairs SiliconeHollowPoints tips for more comfortable fit and 24k gold plated 3.5mm stereo plug. In the box you’ll also find a tactical carrying case and two earhooks. The Billets 9mm earphones are enriched with”Custom-tuned Sound Flow System” for smooth mid to high frequency response and “BassEnhancingChamber” for tighter bass without distortion. 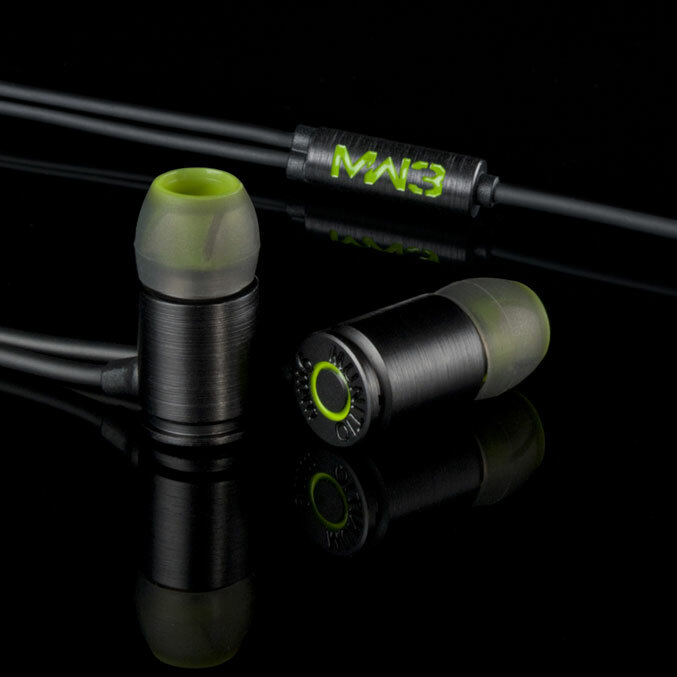 The Call of Duty: Modern Warfare 3 Billets 9mm Special Edition Earphones are backed by two year warranty and will go on sale on Octrober 23 for $89.99. The company is planning also to release Winter and Battle Gray color variants.